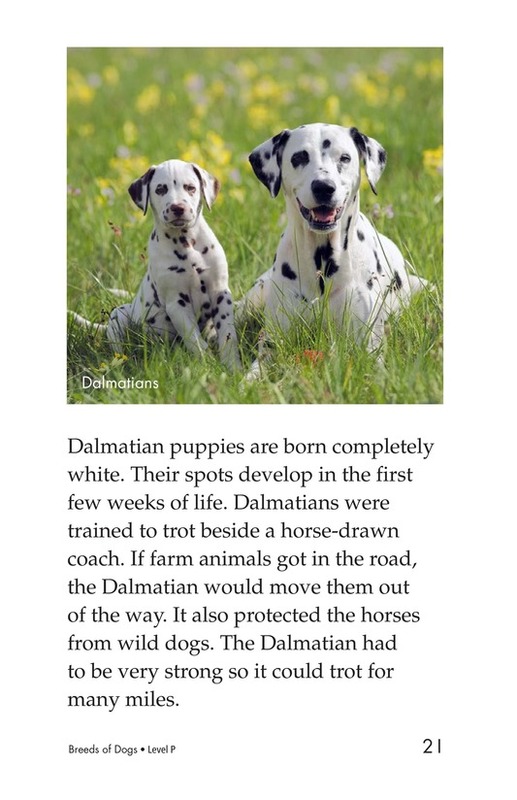 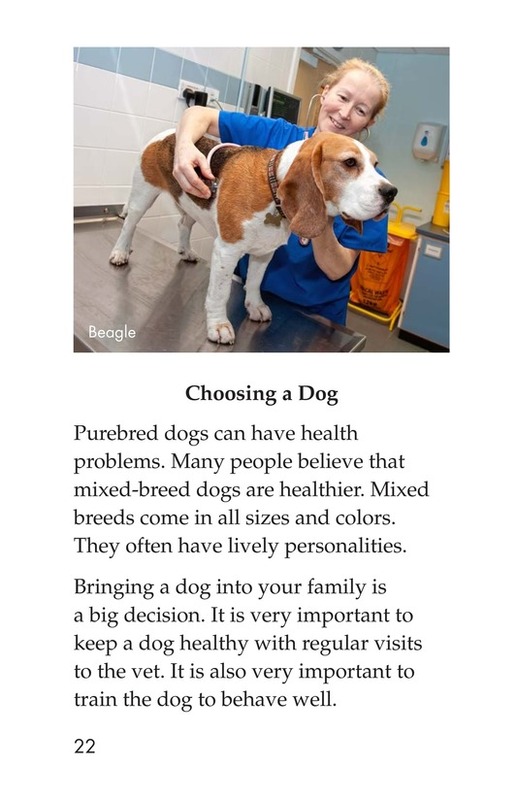 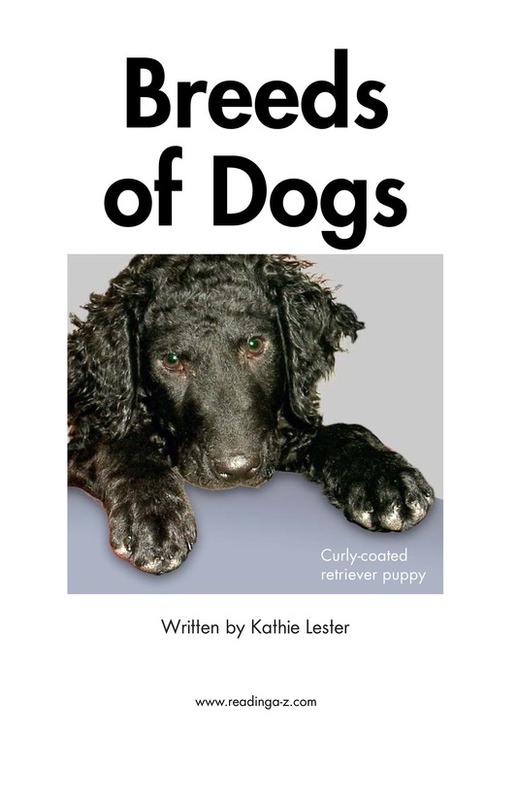 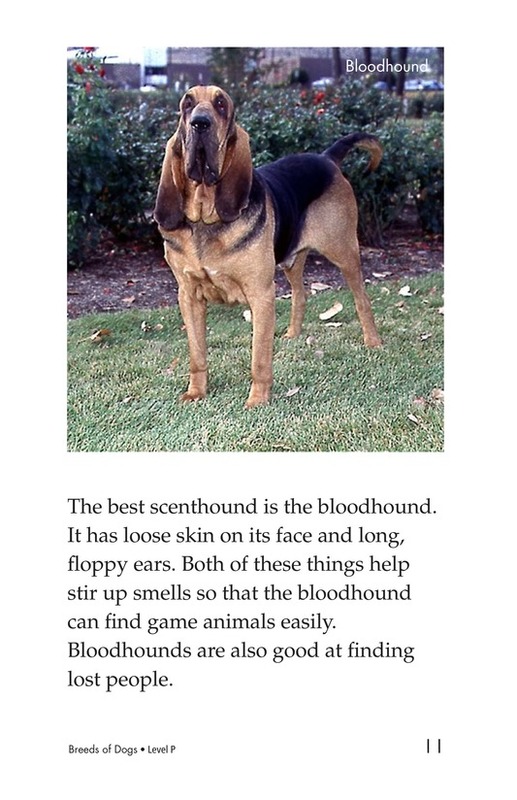 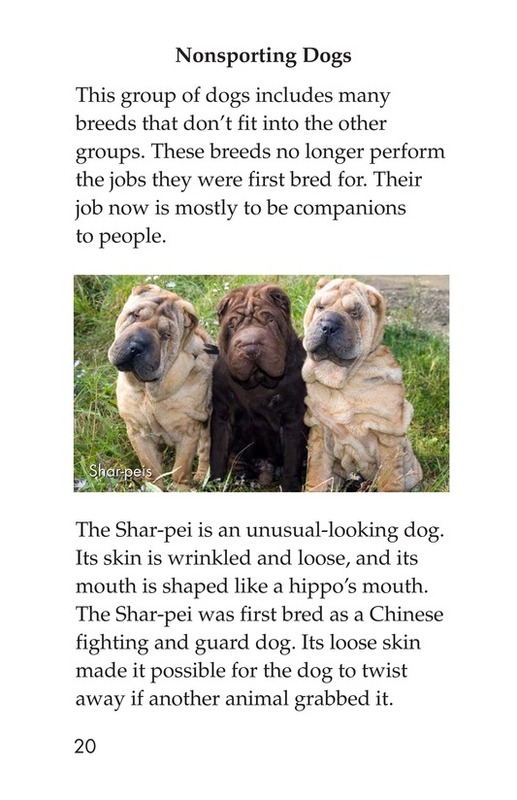 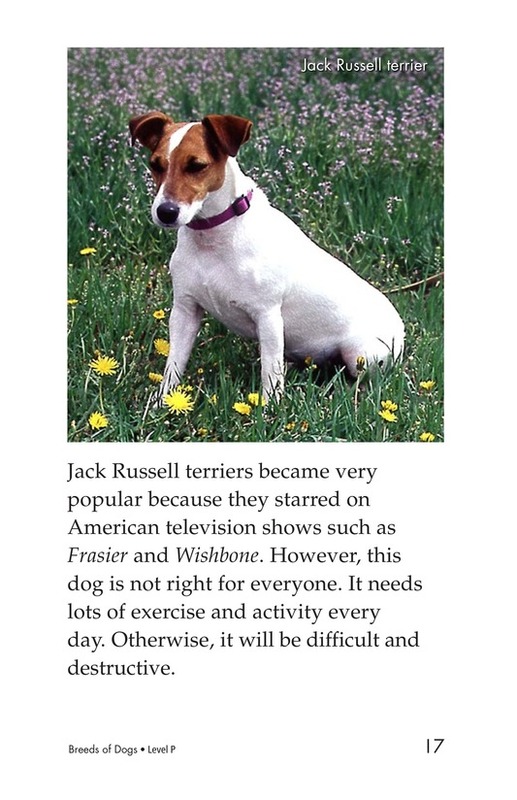 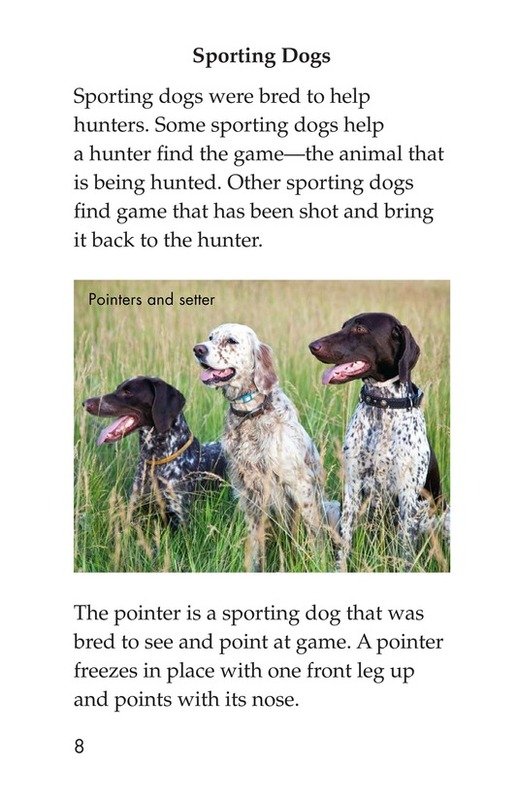 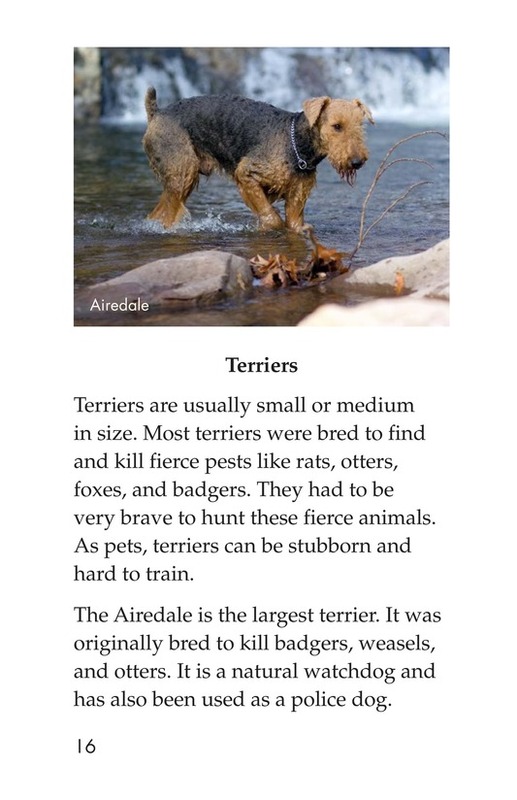 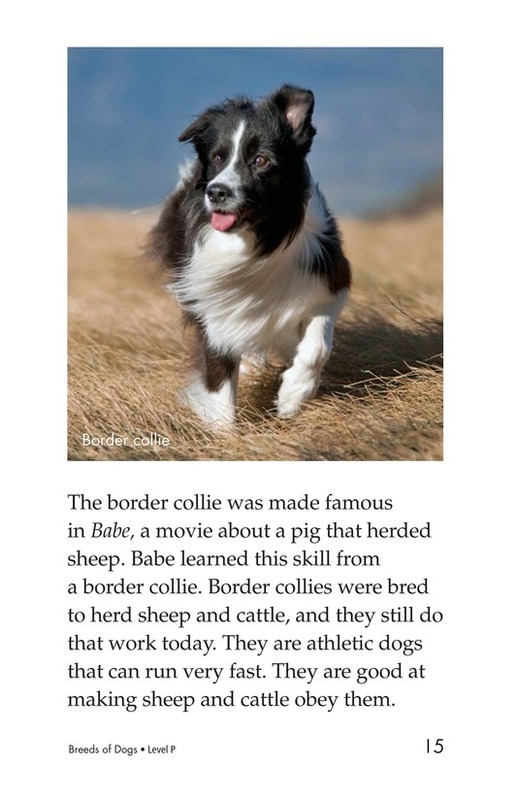 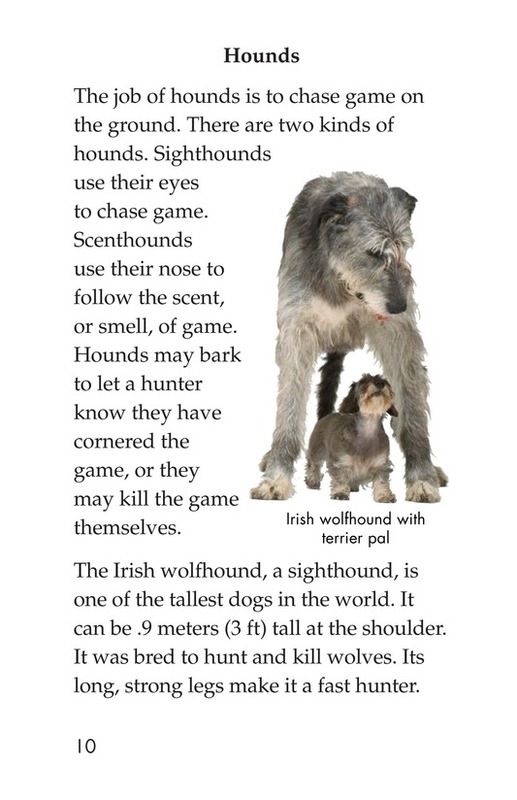 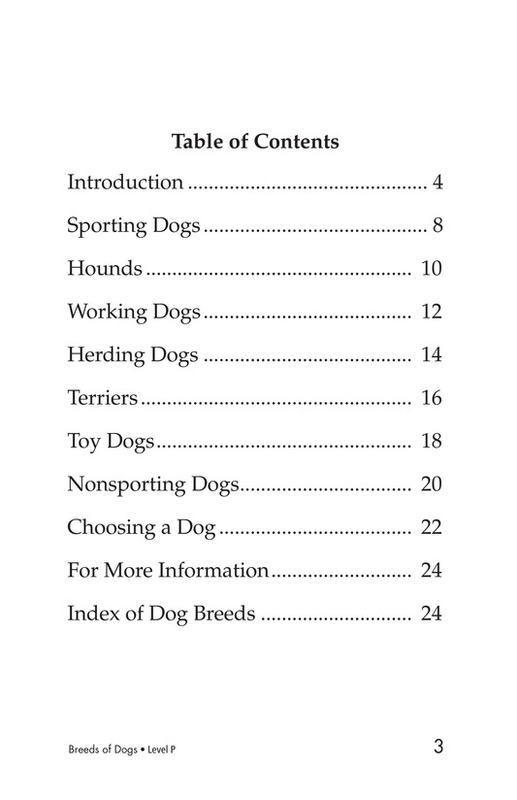 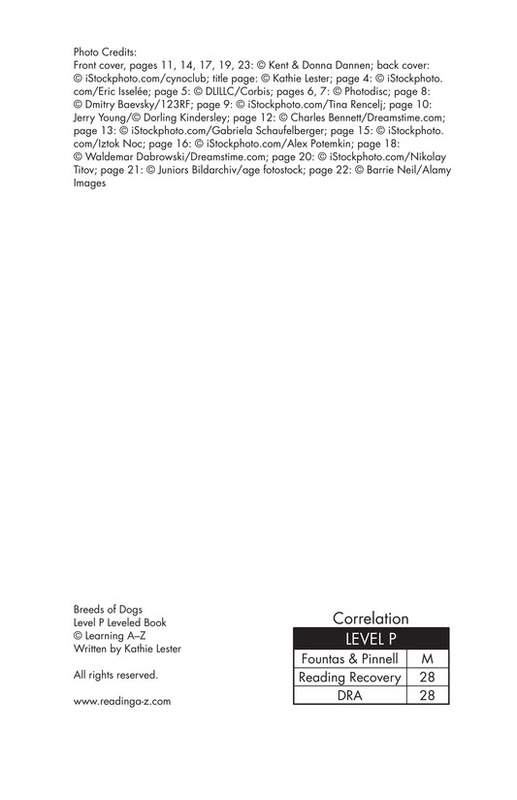 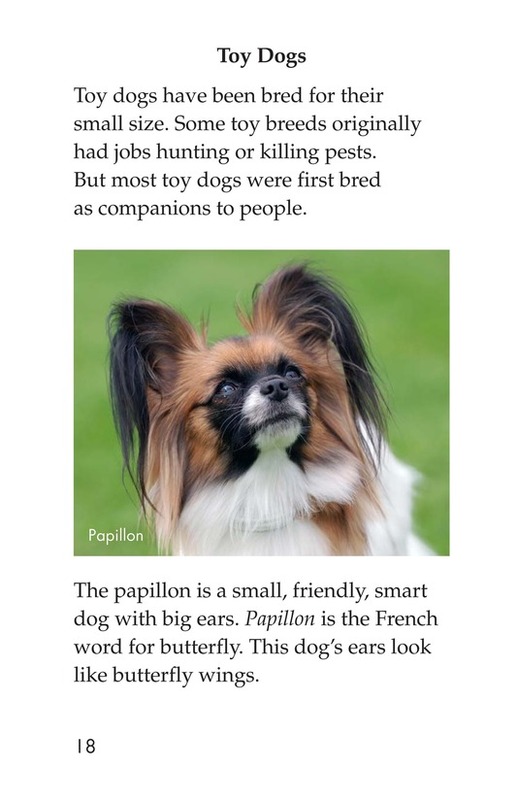 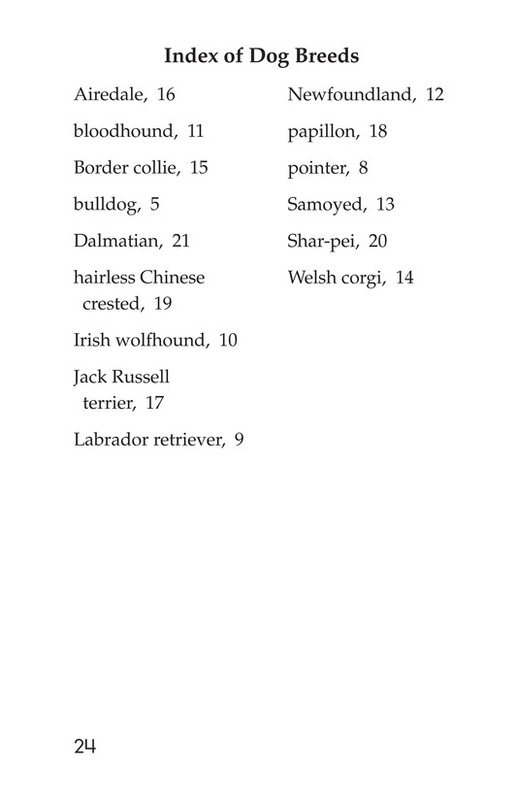 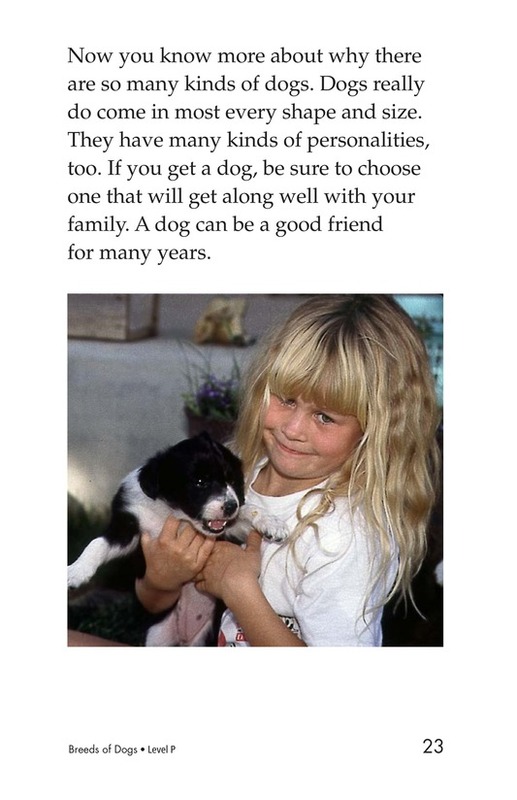 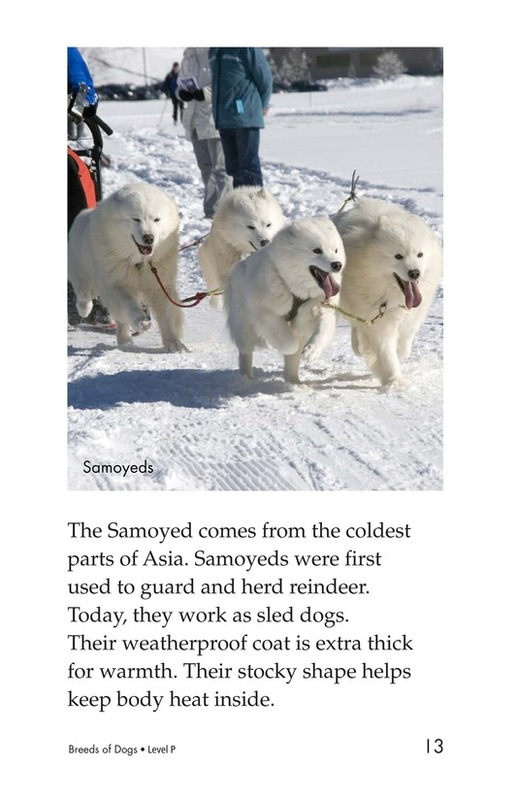 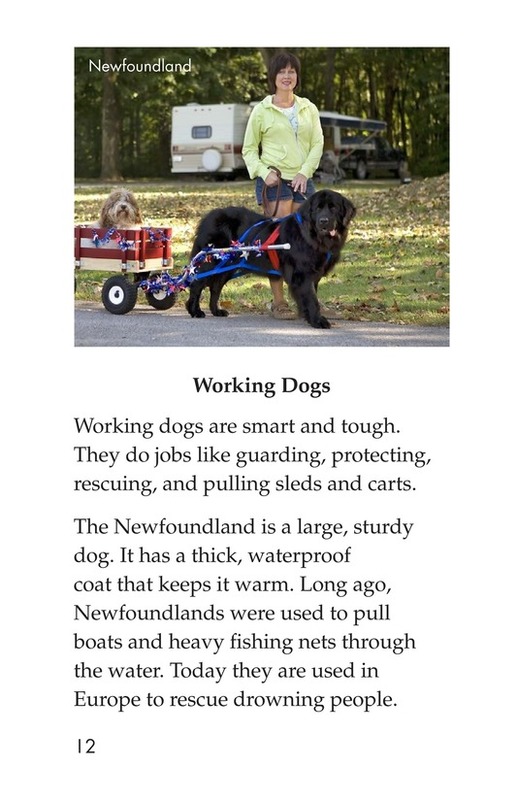 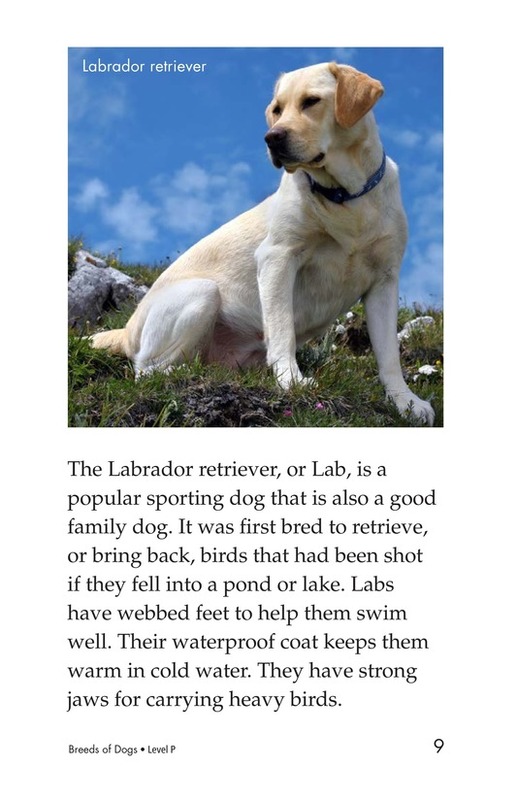 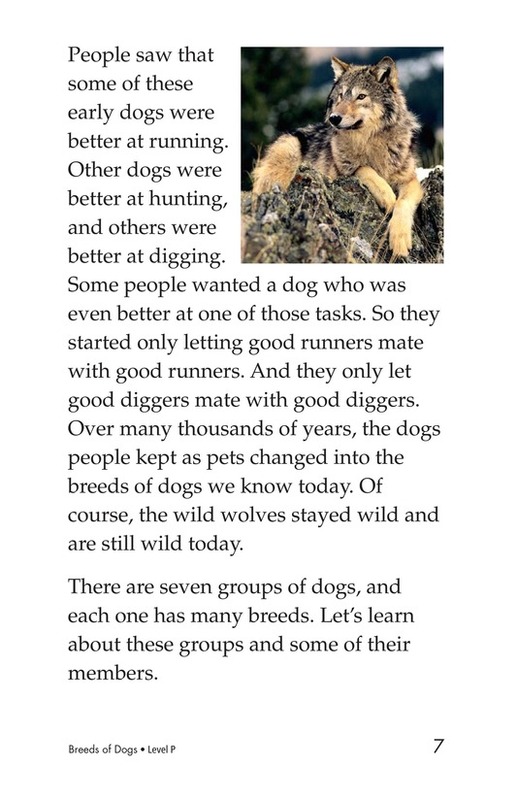 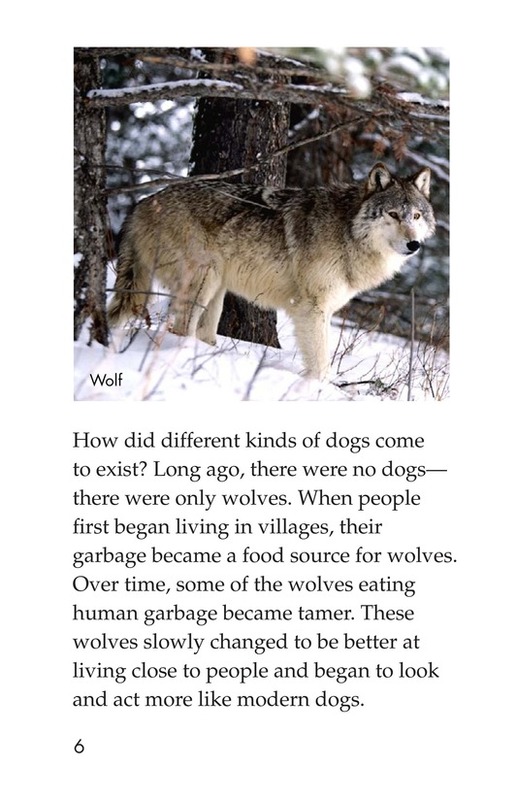 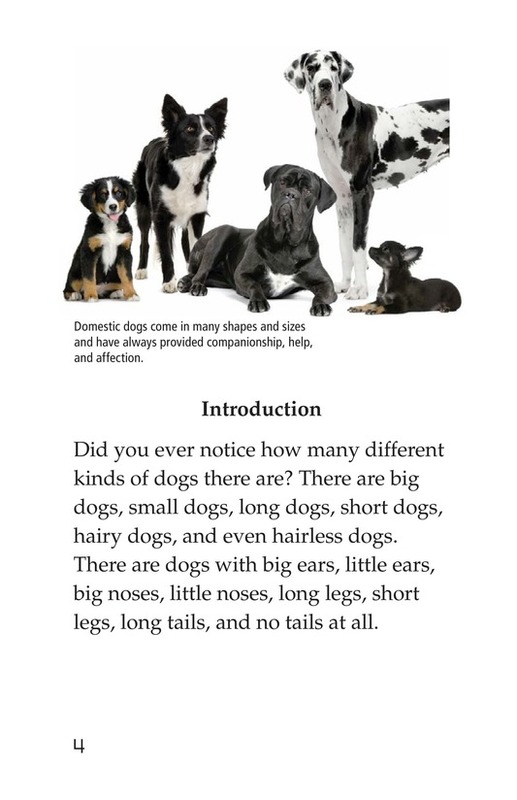 Breeds of Dogs introduces readers to seven different groups of dog breeds. 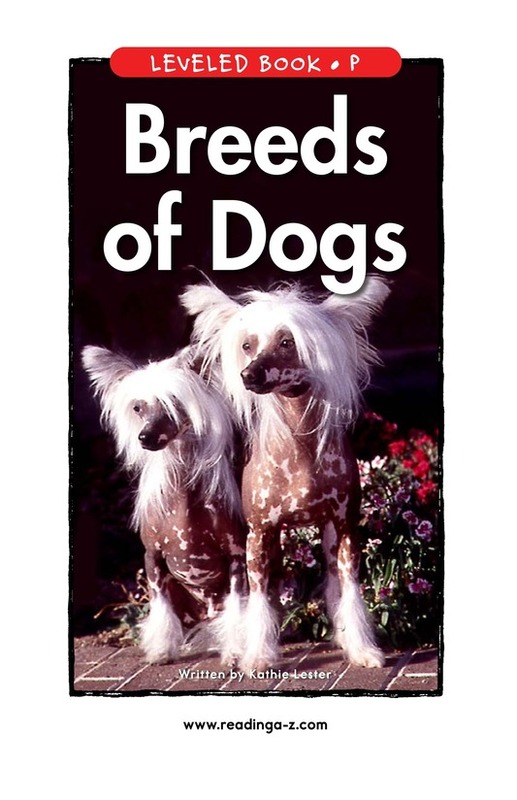 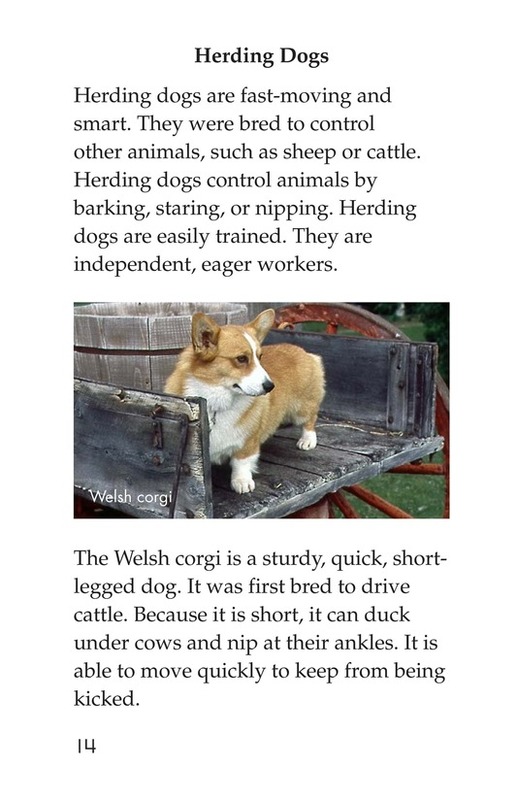 These include working and sporting breeds. 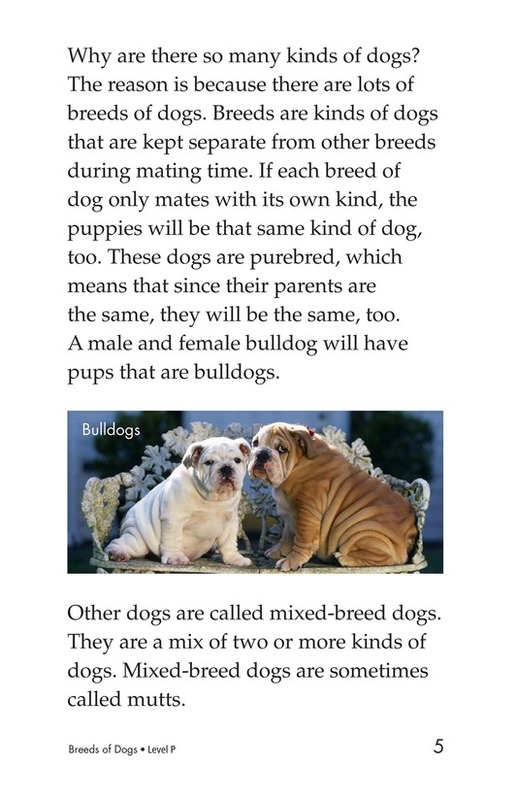 The beloved family mutt is also discussed. 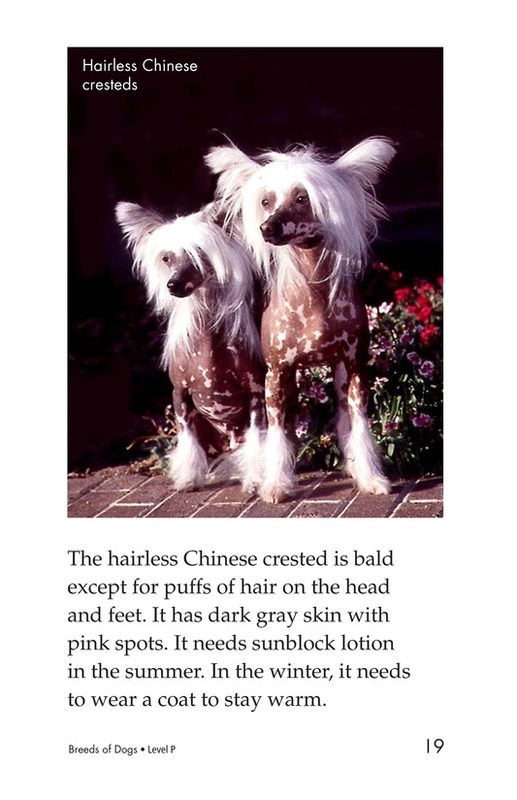 Special features of various dogs are highlighted, and photos show the range of size, shape, and hair quality.